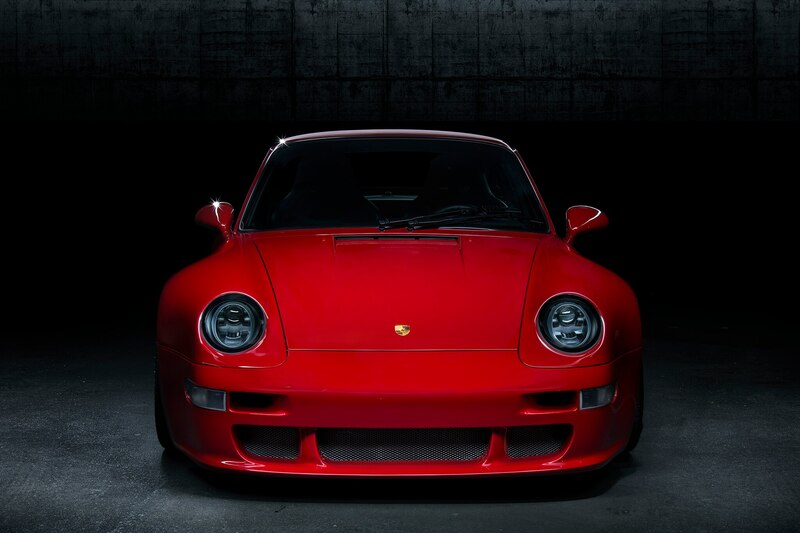 The 993 Porsche 911 is considered by many in the Porsche enthusiast community as the last true 911. 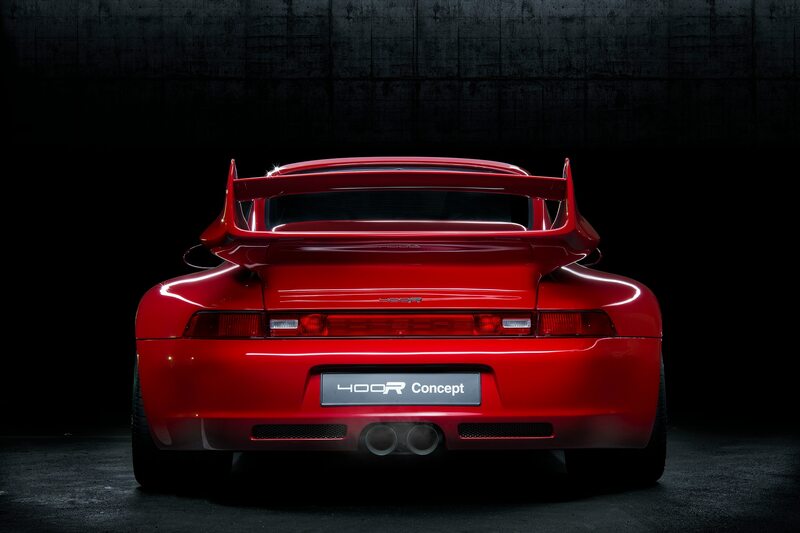 It was the last generation of the air-cooled engines and has thus earned titles like, “King of Porsche,” and “The Purists Holy Grail.” Even by today’s standards, the 993 911 is one hell of a sports car. There are those, however, that believe its “perfect” formula can be tweaked and bettered. 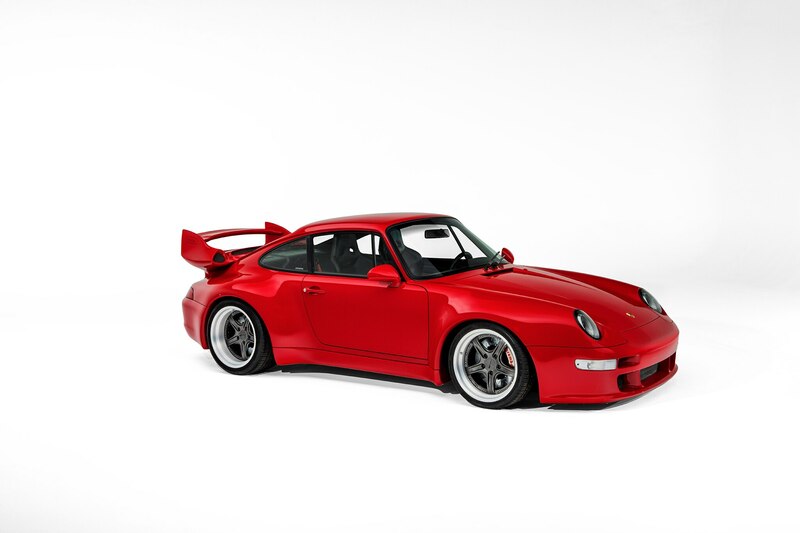 One such company is Guntherwerks, which is making its debut today in Monterey at The Quail, the latest in a long line of modified air-cooled Porsche 911s and one that has definitely has our attention, the 400R. 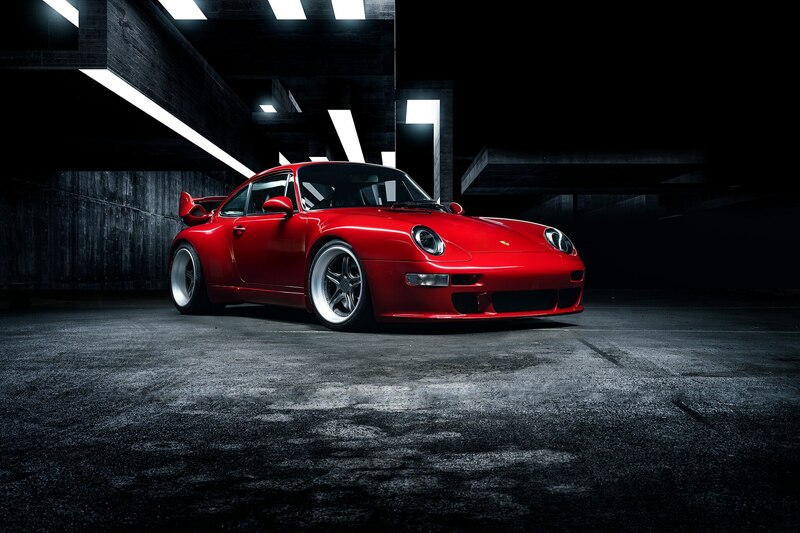 As you can see, the exterior of the Guntherwerks 400R has been thoroughly, but tastefully—this isn’t an RWB—modified. Exterior modifications include custom carbon fiber bodywork, which includes the bumpers, fenders, roof, and more. The fenders themselves are 30-mm wider than stock, which allows Guntherwerks to fit massive 315-size rear tires in the back to puts its horsepower down. 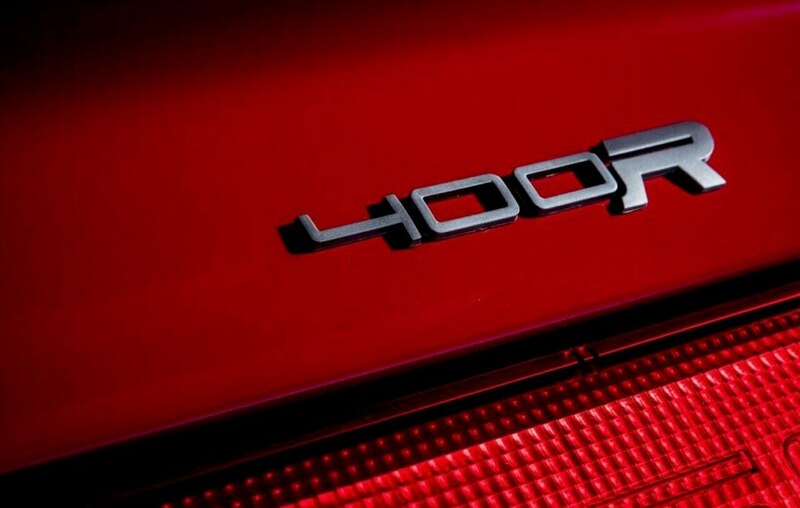 The 400R uses a 4.0-liter naturally aspirated air-cooled flat-six engine that’s been hand-built by Rothsport Racing and generates 400 hp and 330 lb-ft of torque as it approaches a screaming 7,800-rpm redline that will assuredly send shivers down your spine. Additionally, it features a lightweight stainless steel set of equal length headers, a custom Getrag G50 6-speed gearbox with bespoke ratios, and a Carbon Clutch differential. Suspension is handled by a set of KW Clubsport coilovers and a KW HLS (hydraulic lift system), as well as uprated bushings, drop-links, and new front and rear anti-roll bars. 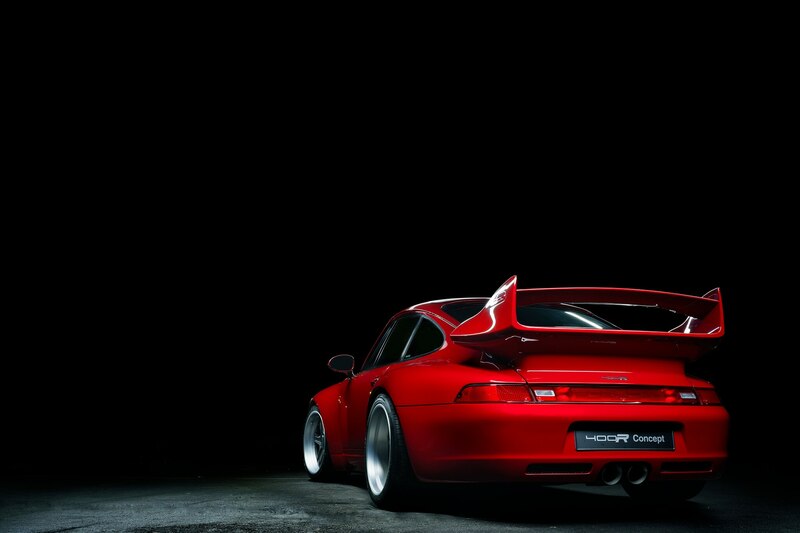 The 993’s uprights have been upgraded to RS Spec EVO units from Porsche’s competition program. 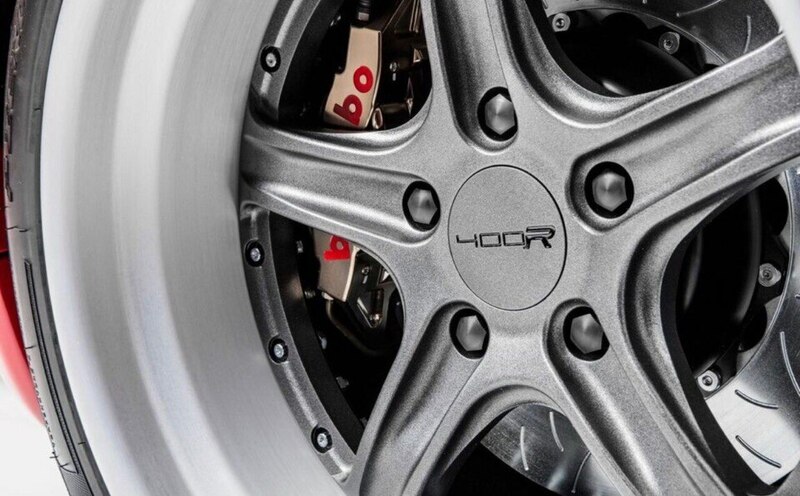 Brakes are Brembo sourced R35 GTR 2-piece drilled rotors with 6-piston front/4-piston rear billet monoblock calipers. High pressure braided brakes lines were also added to aid the new larger brakes, and air ducts were included in the new carbon fiber front bumper. The custom three-piece forged aluminum wheels, which resemble the GT2’s wheels, measure 245/35/18 in the front, and 315/30/18 in the rear and are clad with Pirelli P Zero Rosso tires. 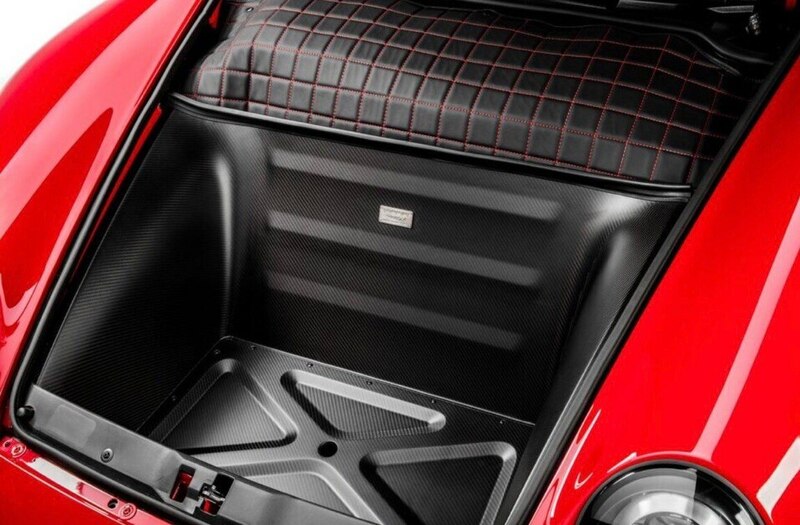 Inside, twin custom Guntherwerks carbon-fiber-backed bucket seats cosset the driver and passenger, and are available in a wide choice of colors and optional finishes. 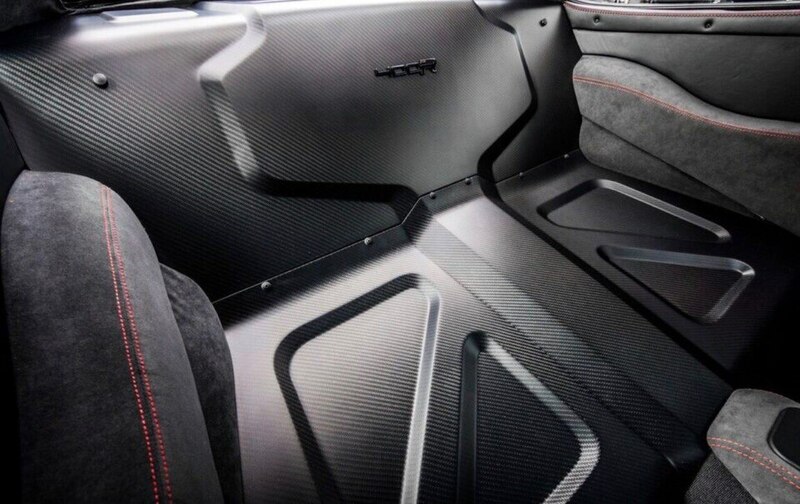 The rear seats have been replaced with a carbon-fiber shelf, and Guntherwerks states that the rest of the interior has a wide range of options, including fabrics from the doors, dashboard, center console, and armrests. 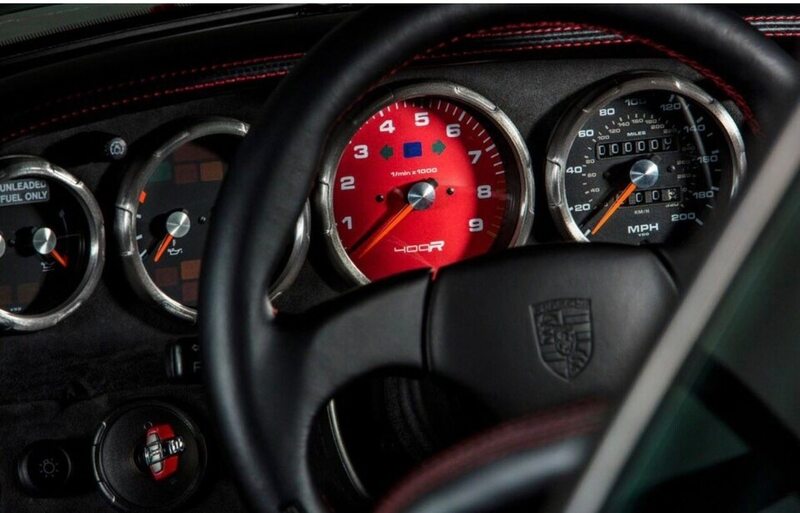 The gauges are ringed in aluminum, as are the pedals, door handles, speaker rings, and ignition cover. Guntherwerks states that there will be 18 specific paint colors available for the 400R, but for a little extra cash, they’ll apply bespoke colors. 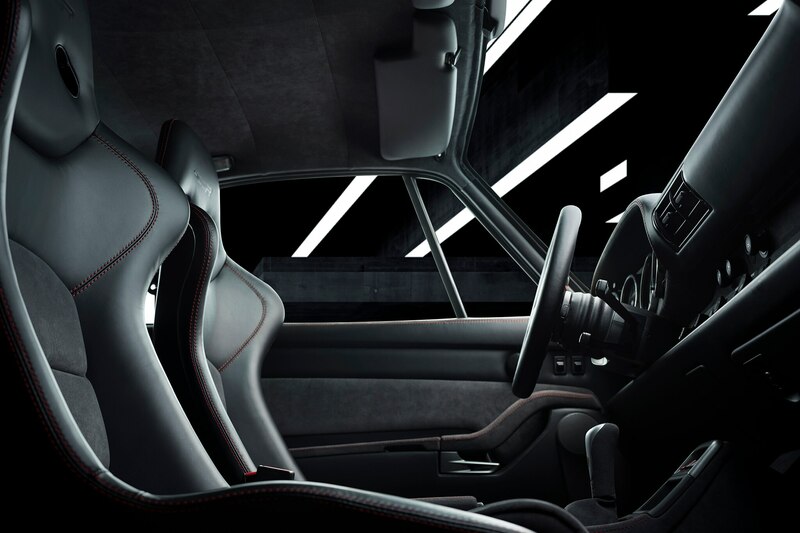 Speaking of money, the Guntherwerks 400R will start at an eye-watering $525,000, which is around the same price as a 911 Reimagined by Singer. We can’t wait to drive it.